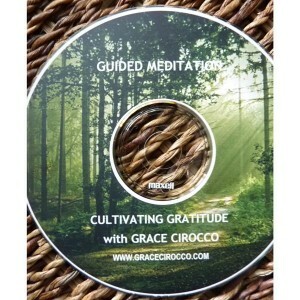 Special: If you buy Grace’s book plus Journey CD’s, we’ll throw in Gratitude Meditation CD for FREE. 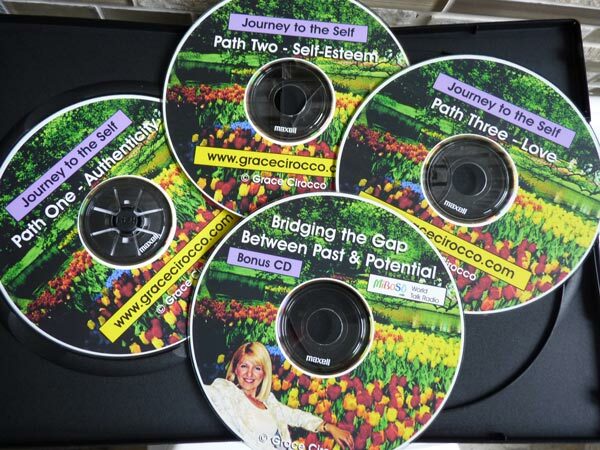 CD 1 : Path One: Journey to the Self through Authenticity – Who are you? Who is your authentic Self? 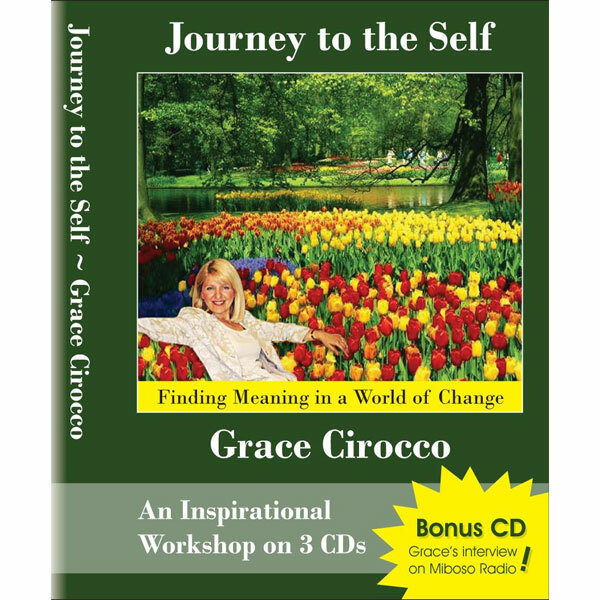 In this CD, you will gain clarity about who you are and what your purpose is, peel away masks that you have been conditioned to wear, and identify and limit the times you betray yourself. You will also hear about three ways you know you’ve found your passion and purpose and how to cultivate quiet time to recharge your spiritual batteries. 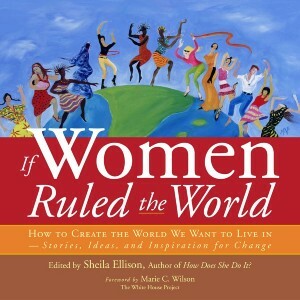 Finally, you will learn to communicate the real you to others without betraying your soul. 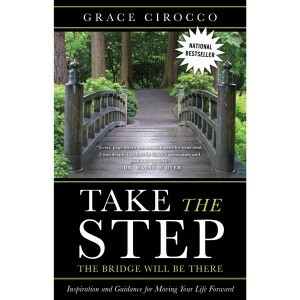 CD 2 : Path Two: Journey to the Self through Self-Esteem – You will hear the powerful metaphor of St. Peter’s foot and how self esteem “leaks” out of us from an early age. 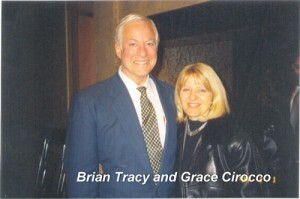 You will learn how to take control of your negative thoughts and re-create self-affirming programming, how to build self-respect and increase your follow-through to create a life filled with amazing possibilities, why self-acceptance is key, and finally how to create and use positive affirmations to take control of toxic situations and negative people. CD 3 : Path Three: Journey to the Self through Love – Your heart will become softer and wiser with the knowledge that to love and be loved underlies everything we do and everything we want. 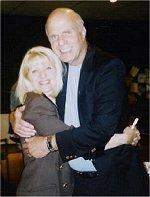 Learn the secret to your heart’s intelligence; let love and gratitude be your teacher so that your’s heart’s wisdom can permeate through your entire life so that you stay focused on what matters most to you. 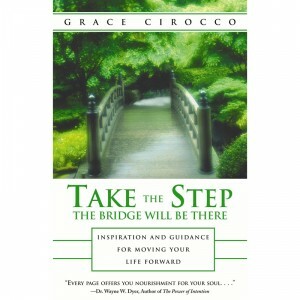 CD 4: BONUS MATERIA: Bridging the Gap Between Your Past & Potential – Hear Grace in this powerful one hour nterview with Miboso World Radio on how you can bridge the gap between your past and your potential.